For most of the last century, some of the postcranial characteristics that distinguish primates from other mammals have been linked to arboreality. For example, Smith (1912) proposed that with the adoption of a more arboreal lifestyle, the hand of primates became more prehensile and sensitive, thus replacing the role of the mouth for food collection. In the same vein, Jones (1916) suggested that the retention of an arboreal mode of life from primitive mammals led to a functional differentiation of the limbs of primates, with the hindlimbs assuming a more propulsive role while the forelimbs are used for reaching and manipulation. These ideas were essentially preserved in what became known as the "arboreal theory of primate evolution" (LeGros Clark, 1959). As LeGros Clark (1959: 43) pointed out: "The evolutionary trends observed in primates are a natural consequence of an arboreal habitat, a mode of life which among other things demands or encourages prehensile functions of the limbs " This arboreal theme is still predominant in more recent models of primate origins, such as the grasp-leaping model (Szalay and Dagosto, 1988; Szalay et al., 1987), which provides a detailed argument for the origins and evolution of the grasping foot in euprimates. Cartmill (1970, 1972, 1974a,b) directly challenged the arboreal theory in arguing that the characteristic primate traits, including prehensile extremities, cannot be explained simply as adaptations to arboreal life in general. His thesis was based on two fundamental observations: first, many mammals, such as gray squirrels, are successful arborealists and lack all the morphological characteristics typical of primates. Second, and more importantly, Cartmill noted that many small prosimian primates and marsupials resemble each other in some aspects of their morphology and ecology. Specifically, Cartmill (1974b: 442) pointed out that "Visually directed predation on insects...is characteristic of many living prosimians, and also of small marsupials... This suggests that grasping extremities were evolved because they facilitate cautious well-controlled movements in pursuit of prey on slender supports "
In a more recent model of primate origins, Sussman (1991, 1995) stressed that searching and collecting angiosperm products on terminal branches were more determinant factors in shaping primate visual and postcranial specializations. Cartmill (1992) criticized this model arguing that the visual apparatus of primates is better suited for nocturnal animals trying to locate mobile prey rather than motionless fruits. In turn, Crompton (1995) provided a series of arguments against the visual predation model of Cartmill. He concluded that orbital convergence for animals like primates is as important for judging distances and avoiding obstacles when engaged in rapid, saltatory locomotion in a fine-branch niche as it is for visually discriminating fruits and insects from the arboreal background. Aside from these differences of opinion on the reasons why primates evolved orbital convergence, which are beyond the scope of this chapter, both Cartmill and Sussman agree on one important factor: a similar kind of arbo-reality (mainly thin and flexible substrates) to explain the presence of prehensile hands and feet in primates. In other words, moving and foraging in a fine-branch niche were important factors in the evolution of prehensile extremities in primates. Cartmill (1970) and Charles-Dominique and Martin (1970) proposed independently that ancestral primates originated in an arboreal environment in which supports of small diameter predominated. 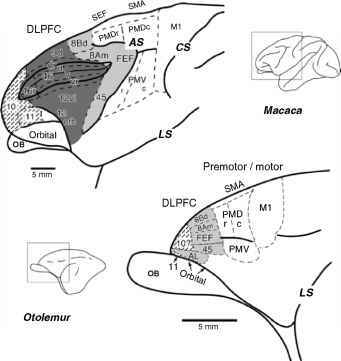 This concept of "fine branch niche"—later coined by Martin (1972a) to describe the physical environment in which the mouse lemur lives—has been invoked by several physical anthropologists to explain the origins of some of the locomotor peculiarities of primates described above. Since these morphological and locomotor characteristics appear to represent the primitive condition for the entire primate order, other mammals have to be considered to understand the potential link between these characteristics and movement on thin arboreal supports. In his model of primate origins, Cartmill emphasized the importance of considering other mammal groups in addressing the problem of primate origins. On the basis of strong convergence in morphology, behavior, and ecology between small marsupials and small prosimians, Cartmill inferred that the last common ancestor of primates was a visual predator with prehensile extremities, which were useful for grabbing insects and moving cautiously on slender branches. In a landmark study, Rasmussen (1990) used a similar case of convergence to address the problem of primate origins. The rationale for his study on the behavioral ecology of two didelphid marsupials was that "... the behavior of nonprimate mammals that have convergently evolved primate like structure may be used as an adaptive analogy, or in effect, a sort of independent 'evolutionary experiment'" (Rasmussen, 1990: 265) to test or refine hypotheses of primate origins. First, Rasmussen noted that the woolly opossum (Caluromys derbianus) is more primate-like in skull morphology, eye size, encephalization quotient, and life-history patterns compared to other opossums. Then, he reported that, unlike other more terrestrial opossums like Didelphis marsupialis, woolly opossums rely heavily on terminal branches while moving and foraging for fruits and insects, just like many small-bodied prosimians do. Rasmussen (1990) argued that this case of convergence between arboreal opossums and primates establishes a link between the presence of primate-like traits and making a living in an arboreal environment of the sort advocated by Cartmill and Sussman in their models of primate origins. Rasmussen (1990: 275) concluded that "Caluromys der-bianus makes a good model of what primitive prosimians may have been like" and added that "Studies of C. derbianus may be useful for testing hypotheses of primate origins, and may serve to revise and clarify theoretical perspectives on the issue." This conclusion is in agreement with the earlier suggestion of Hunsaker and Shupe (1977: 281), who stated that "These contrasts in behavior leave little doubt that the didelphids represent a virtually untouched group which has great potential for studies in convergent evolution and comparative behavior." In the following section, we present the results of a comparative study that relies on convergence between opossums and primates to test the functional link between more prehensile extremities and facilitating movement and foraging on thin branches. What is cartmills model or primate?